The LBYBA is a not-for-profit organization that has administered both House and Travel League baseball programs in the community for over 60 years. Our goal is to help boys and girls aged 4 to 14 learn the game of baseball, teamwork, and sportsmanship in a family-like atmosphere. We hope you are able to help us continue this tradition. We are soliciting sponsors for our new LBYBA website and Team Uniforms. The funds raised through this effort enables us to continually upgrade our program and equipment. The website is visited regularly by families throughout Lake Bluff, Lake Forest, Knollwood, Great Lakes and many other communities for league information, news & updates, and team schedules. 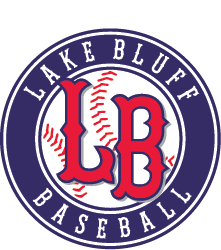 We thank you for your consideration and support of our Lake Bluff Baseball Program! Team Uniform (Sponsor Name on Jersey) March 15th Deadline! If you would like to participate in our 2018 campaign, please complete and return the attached form to LakeBluffBaseball@gmail.com. Payments can be made by Check or PayPal. Please see form for more details.